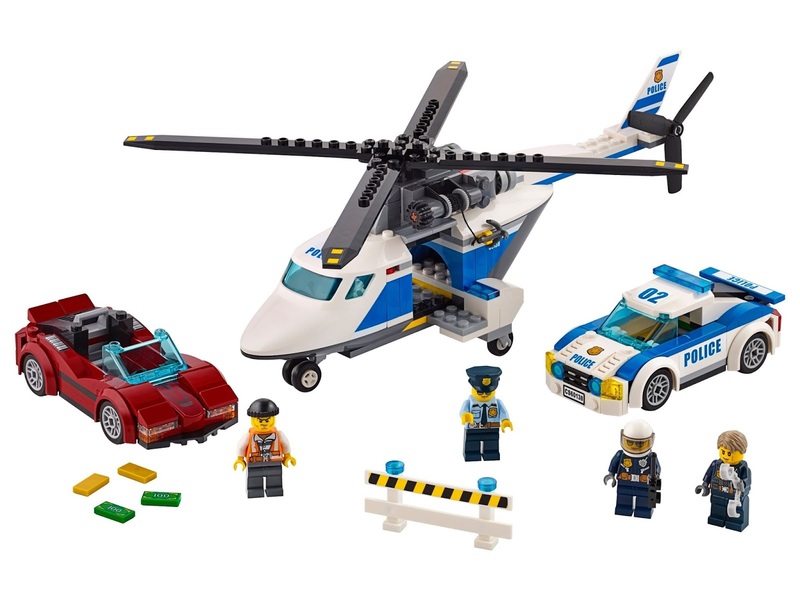 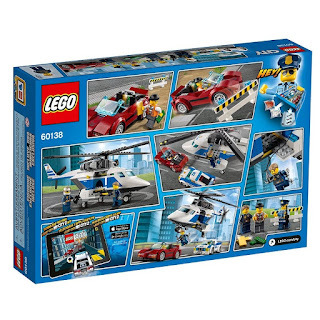 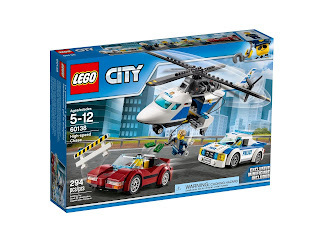 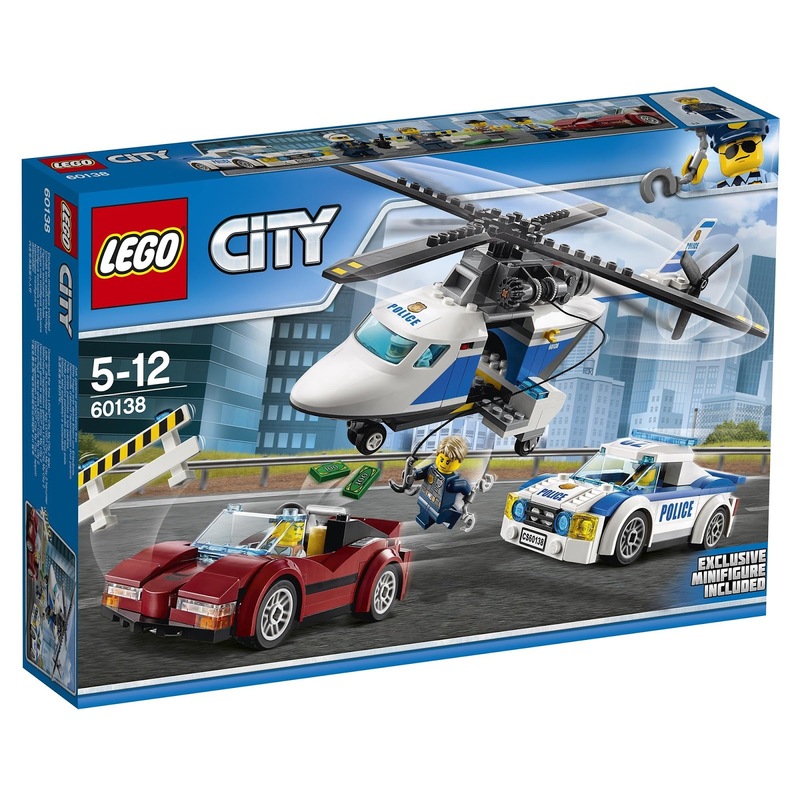 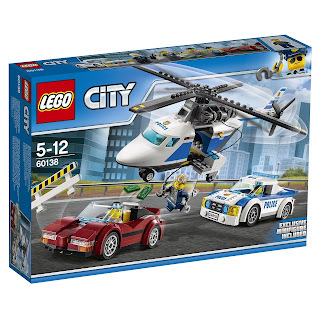 come with a police helicopter, a police pursuit car and a sports car. 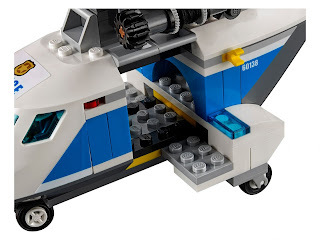 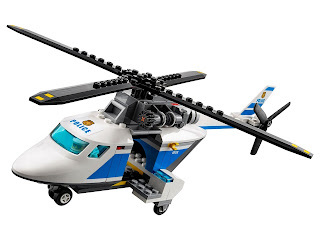 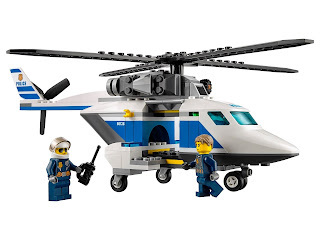 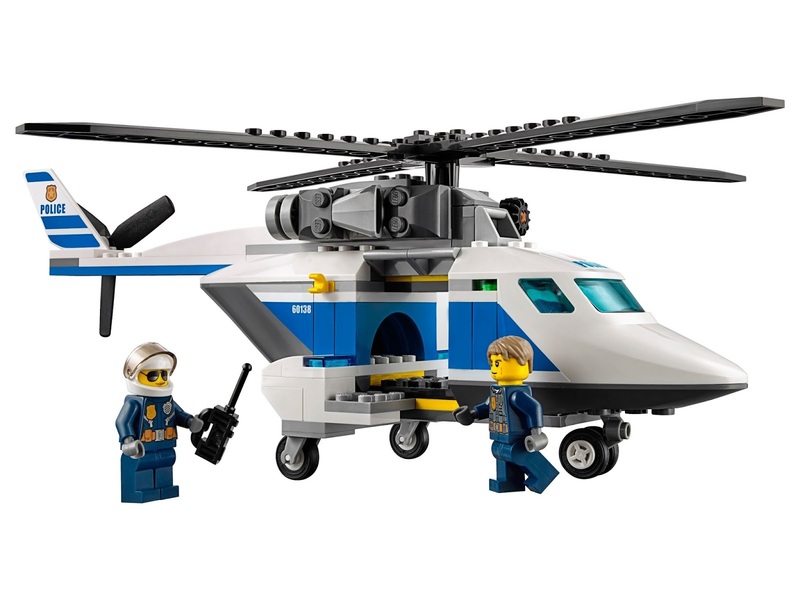 the helicopter has spinnable rotors, a emovable cockpit canopy and a lowerable winch with hook. 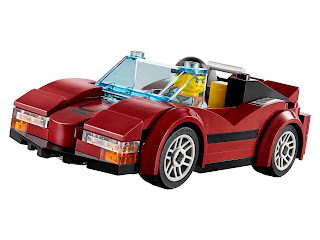 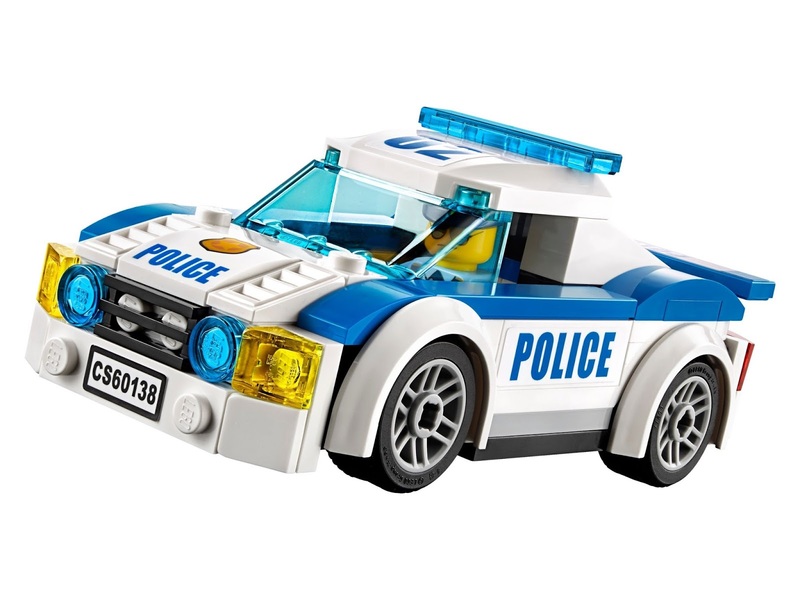 the police car has a rear spoiler. the sports car has a space in the back for money bills and gold bars. 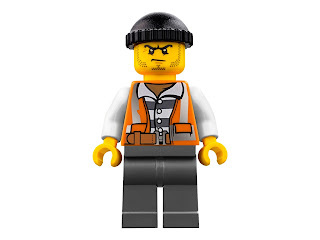 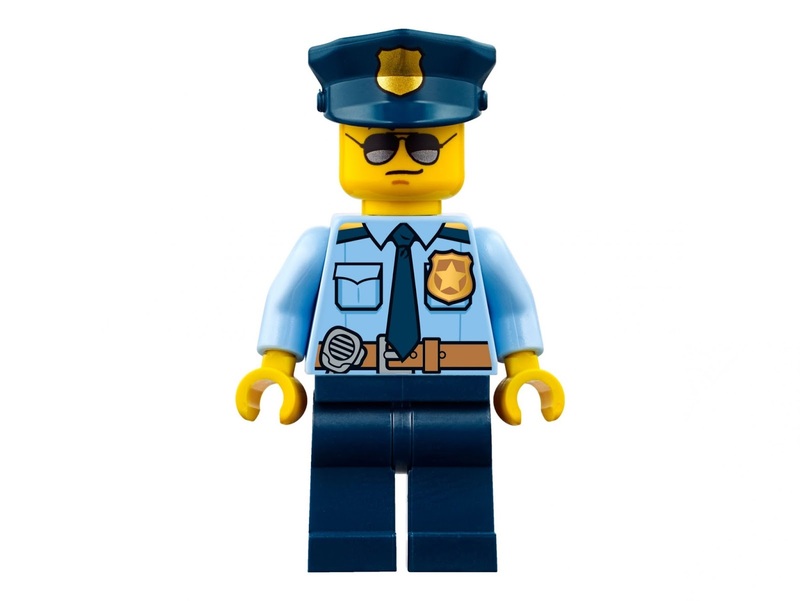 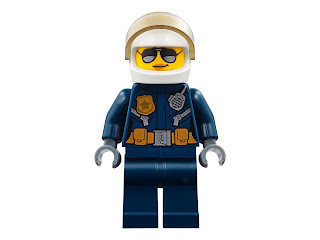 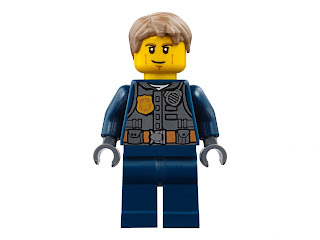 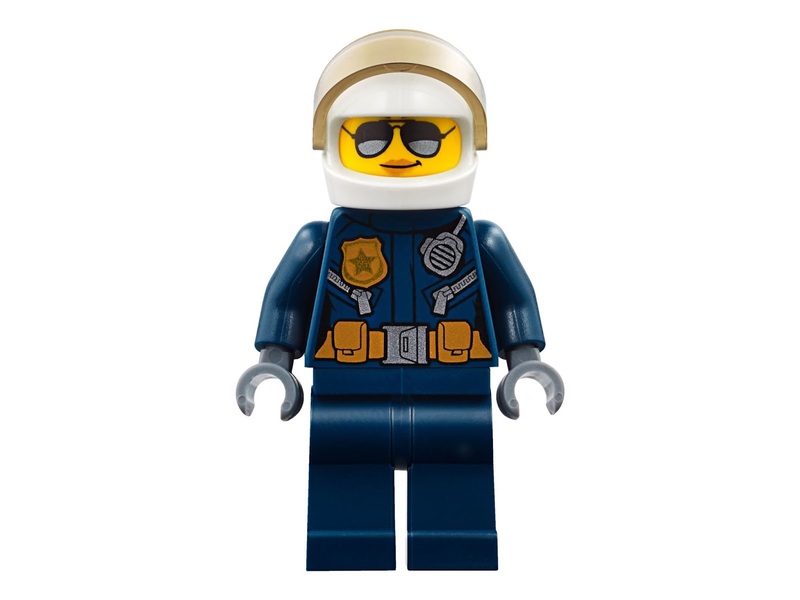 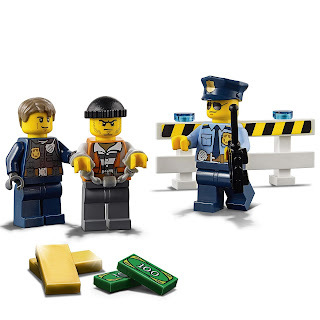 minifigs included a chase mccain minifig, a police minifig, a pilot minifig and a bandit minifig.